Most of us take for granted our voices. We use it every day- to talk to loved ones, order a Starbucks coffee, or secure a business deal at work. As a bubbly teenager, I took it for granted, until I lost it. At the age of thirteen, I was diagnosed with cancer, in which a tumor had spread to the nerve feeding my vocal cord, causing paralysis. After multiple surgeries and radiation treatment, I was declared clear of the disease. A year later, by an implant, I was given a new voice. I knew that I wanted to use my new voice to make a difference in fighting cancer. Cancer completely changed my life. It has impacted every single part of me – my profession, my free time, and my passion. It all started in eighth grade, when I was yelling, calling plays on the basketball court. My voice was hoarse and my teammates had trouble hearing me. I was told that I probably had laryngitis, and to simply rest my voice (which is extremely hard for a chatty middle school girl). But unfortunately, my voice did not come back. A camera down my throat revealed that my left vocal cord was paralyzed, which we soon found was due to a tumor that had spread to the nerve feeding my vocal cord. After a biopsy of one of the tumors, I was diagnosed with thyroid cancer. A week after my 14th birthday, I had surgery to remove my cancerous thyroid and many lymph nodes the cancer had metastasized to. I woke up from the surgery to learn it had been a success, but the doctors were unable to salvage the nerve feeding my vocal cord. I had permanent vocal cord paralysis, to never be able to speak normally again. But I quickly focused on the present, to undergo radioactive iodine treatment to kill the remaining cancer in my body. I was literally radioactive during this time, and had to be physically isolated. But after treatment I was able to start to regain strength, and I was able to have another surgery to place an implant in my neck to be able to project my voice. It was after this surgery that I began to adjust to my “new normal”. Your teenage years are extremely formative, when you start to mold your identity. Going through my cancer battle as a teenager was extremely challenging. I was not surrounded by anyone else battling cancer that I could relate to, and my peers at school and friends didn’t always know what to say (I’ve heard some very interesting scar questions). I was also not treated locally. I traveled from my home in North Carolina to be followed by doctors in New York City. Being away from the comfort of my home in a new place was scary. My parents and I stayed at the Ronald McDonald house during those trips, but most of the children staying at the house, as well as on the pediatric floor, were much younger than me. 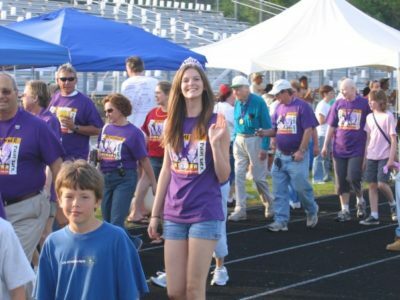 I experienced the deep need for a community of young adult cancer survivors. But I made it through my journey with the love and support of my family, friends, and faith. My passion for fighting my disease became a passion to fight the disease for others. I wanted to know everything I could about cancer – how it worked so that we could stop it. I now conduct cancer research at Johns Hopkins School of Medicine while getting my PhD in the Biochemistry, Cellular, and Molecular Biology program. I research thyroid cancer, the same cancer I was diagnosed with almost twelve years ago. The survivor road isn’t always easy, I deal with chronic pain on my left side due to my surgery, and in 2017 had to undergo another surgery to replace my implant that had stopped working. 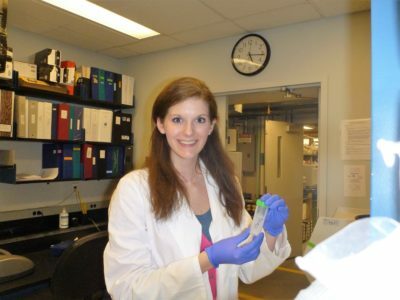 But I am so happy to be doing what I love – cancer research and advocacy. 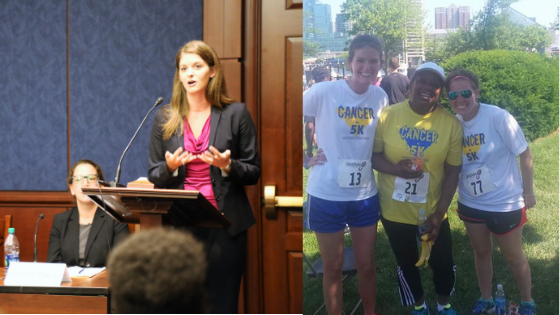 I advocate for cancer patients and survivors, speaking on a local and national level, sharing my story and sharing the needs of cancer patients and survivors. And when I think of the needs I had as a young adult cancer patient and now as a survivor, the Ulman Foundation meets so many of them. I know how isolating a diagnosis can feel, and the support and community that Ulman provides is lifesaving. I cannot support the Ulman House enough to provide a home away from home and a support system for young adults. When I moved to Baltimore, I couldn’t wait to get involved with the organization. 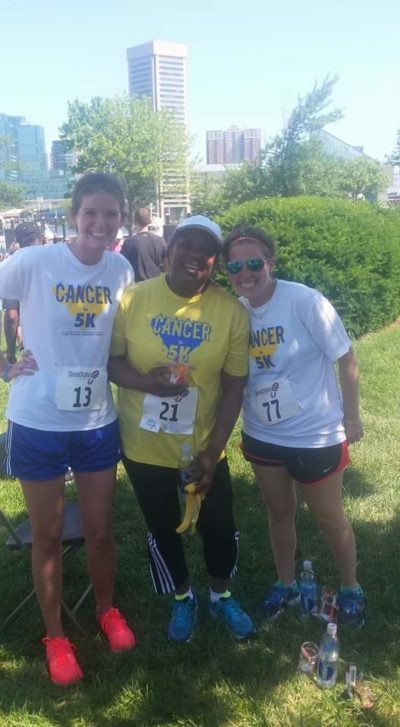 I first became involved with Ulman as a Sherpa volunteer for the Cancer to 5K program, where I ran alongside survivors at weekly practices training for a 5K, and then completed the race. I loved the experience and giving back, and I knew I wanted to be involved with the organization more. I am so honored to be named a GameChanger, to be recognized for my demonstrated excellence in my profession, commitment to the betterment of my community, and my displayed leadership. I have truly enjoyed the opportunity for further involvement in this amazing organization. 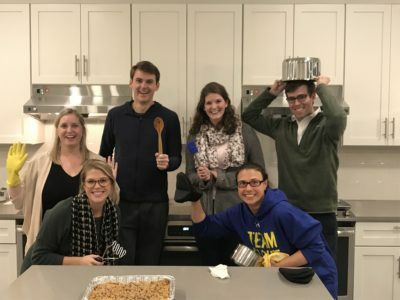 During my time as a GameChanger, I have benefitted by gaining new friends, professional networks, and an avenue to make a difference in the young adult cancer community through my time (like cooking Thanksgiving dinner for a family in need or wrapping Christmas presents for them), as well as raising much needed funds. When I was first diagnosed with cancer, I didn’t want to be known as the “cancer girl”. But now, in a different context, I would take it as a compliment. Everything I do is through the lens of being a survivor, and I am proud of where that perspective has led me. I have devoted my life to being the cancer girl – cancer survivor, advocate, and researcher, and could not be any happier. 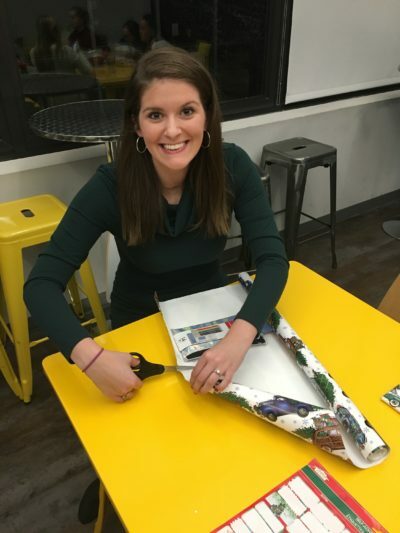 Brittany is one of our 2018 GameChangers, if you would like to support her fundraising effort, please donate here: https://ulman.z2systems.com/bavin.